Located a short 20 minute streetcar ride from downtown, the New Orleans Garden District is a pleasant way to spend a quiet day in the city. 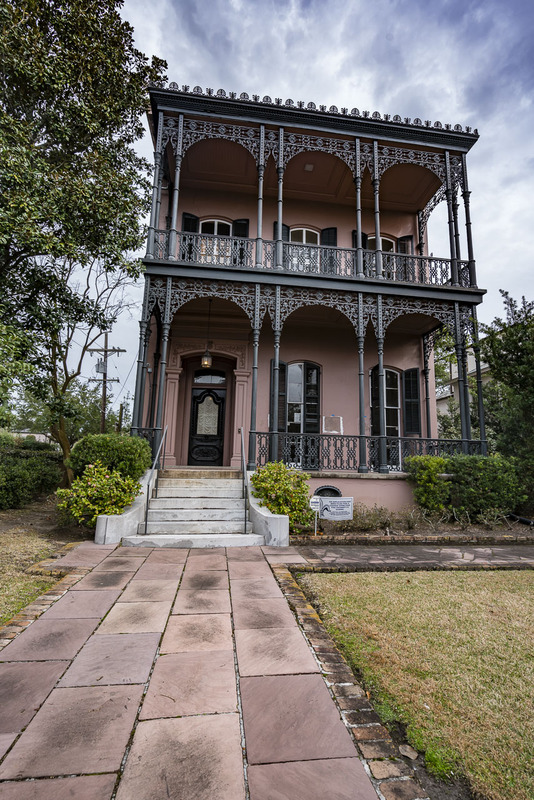 The charming St. Charles Streetcar takes you from the hustle and bustle of downtown New Orleans to the majestic mansions and tree lined streets of the Garden District. 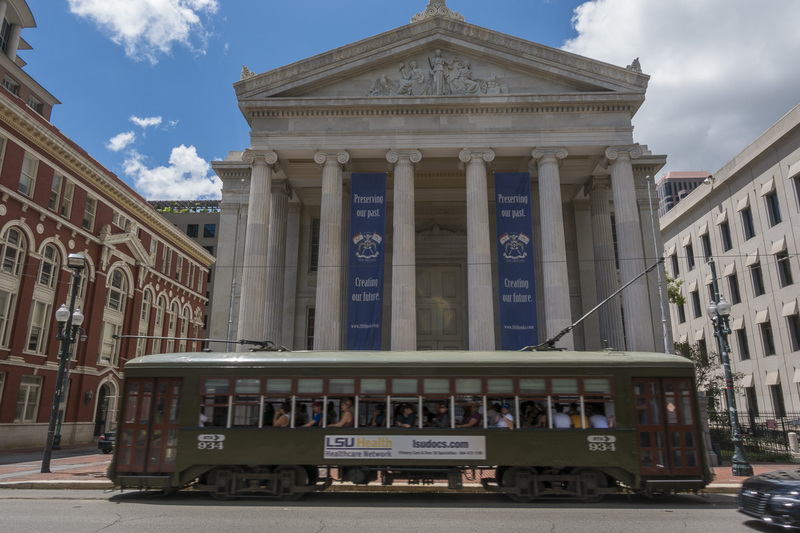 The streetcar dates back to 1835 and is the oldest still operating streetcar line in the world. It costs just $1.25 one way or you can buy a day pass for $3. (exact change required). 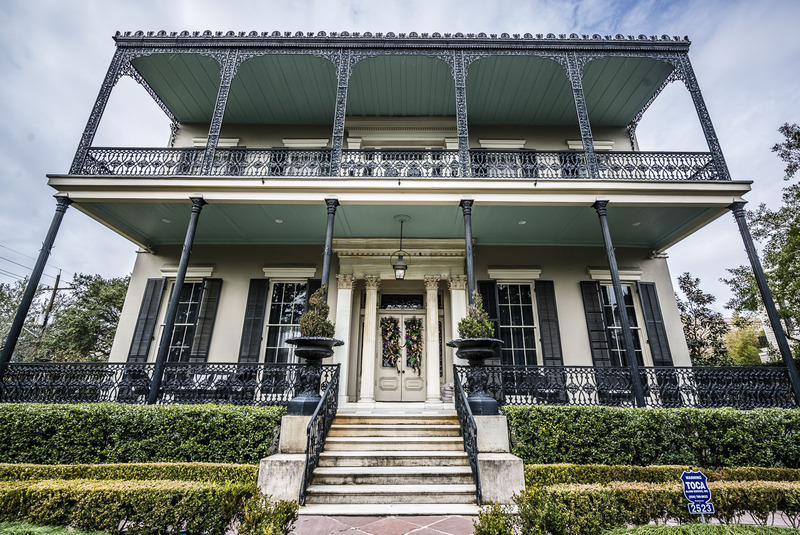 The Garden District is where the wealthy elite of New Orleans live and where tourists come for a peaceful day of walking tours to explore the Lafayette Cemetery, celebrity mansions and boutiques. We met with our guide Sheila of Welcome New Orleans Tours at the lobby of The Rink to begin our day. 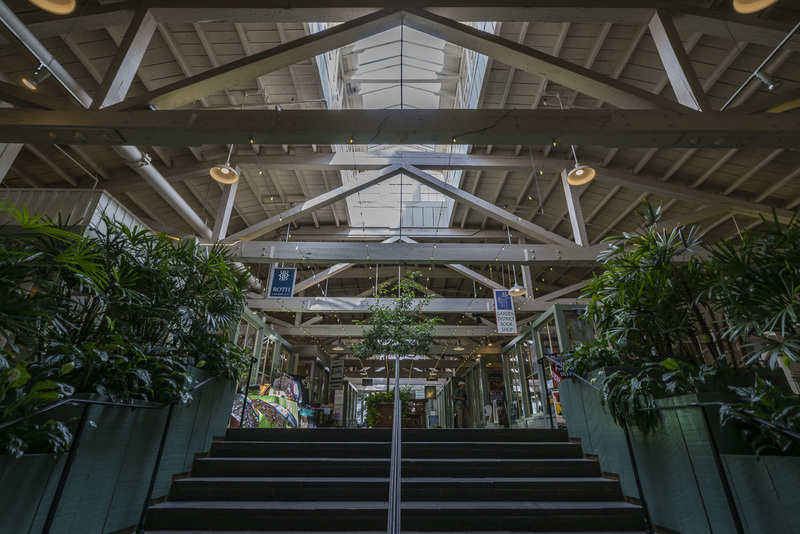 The Rink was once a roller skating arena, but today it houses a bookstore, some gift shops and a coffee shop. 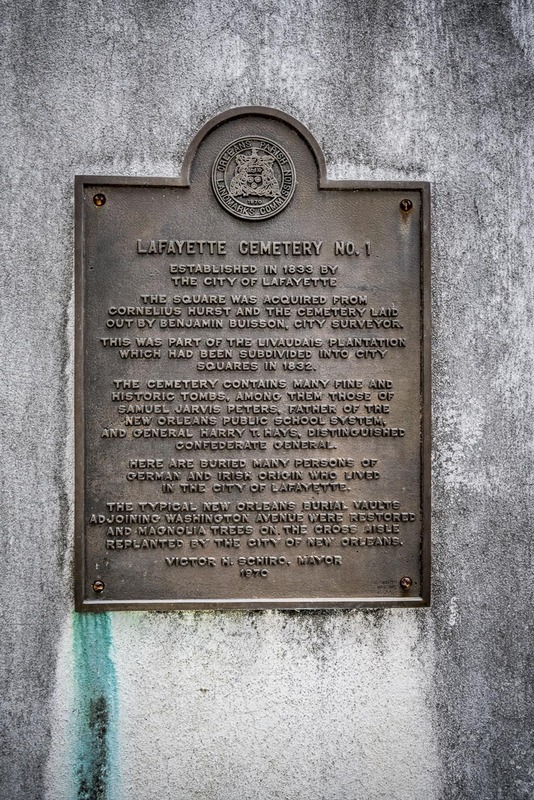 It's a prime meeting point as it's also kitty corner to Lafayette Cemetery Number One where we started our afternoon tour. Before setting out she told us a bit about the history of the area. New Orleans wasn't always a city. 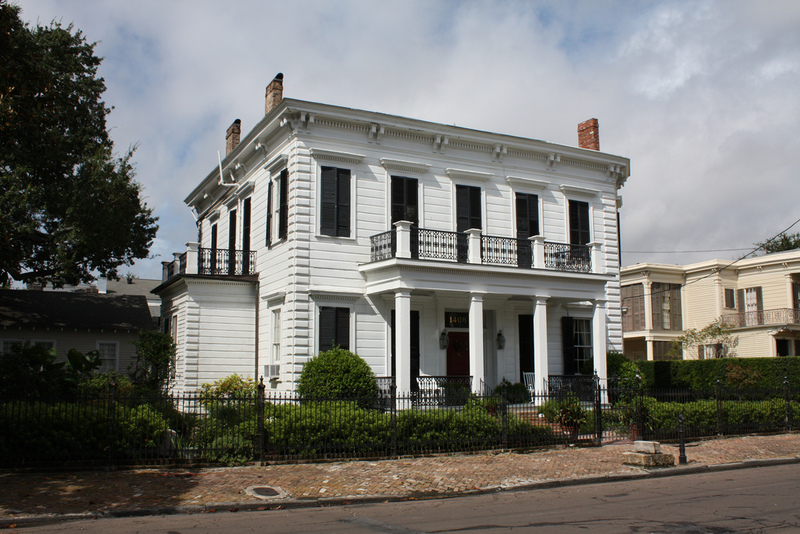 In fact, The French Quarter was the original city- established in 1718. It was and laid out in a grid pattern in 1720 and land grants were awarded outside of the original city. Some people chose to grow indigo and/or sugar cane on their plantation, or rural land. 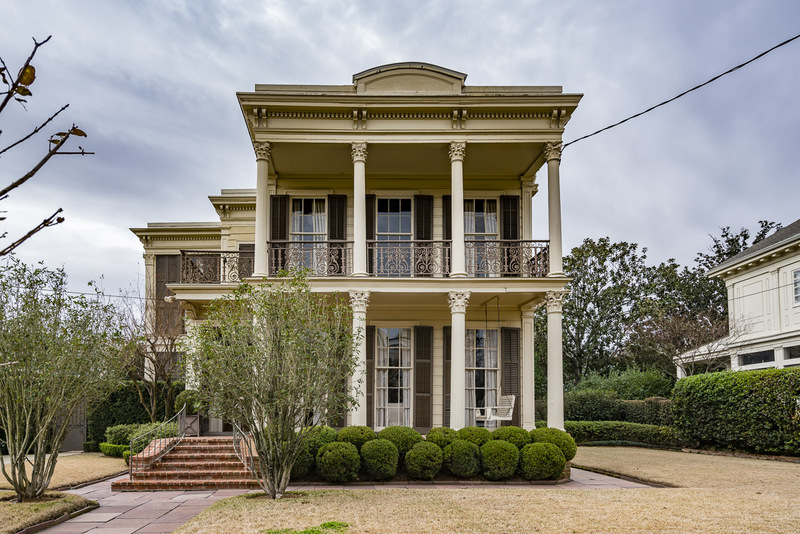 A large part of the Garden District was home to the Livaudais Plantation, and the story of this plantation is cool because its final owner was a woman. In the 1800s some women in New Orleans owned their own land. It surprised us since back in those days, women didn't have a lot of rights let alone be in charge of their own finances. But things were different in NOLA. 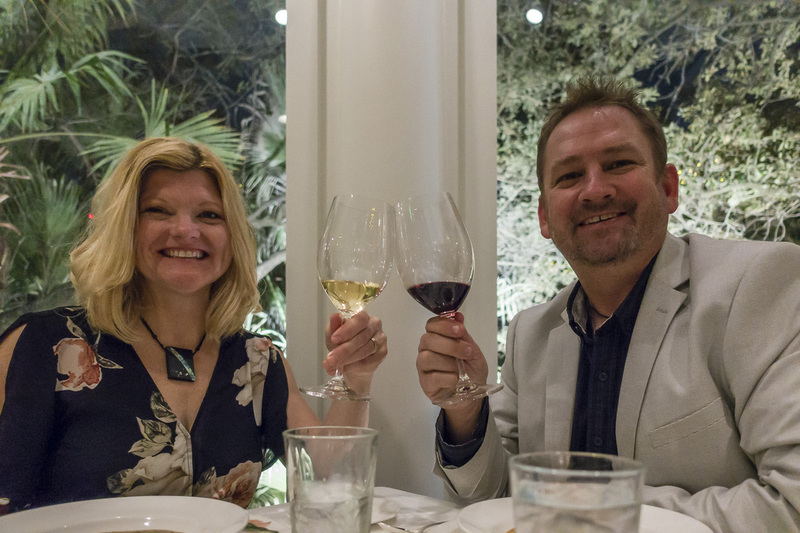 Jacques Livaudais was the original owner of the plantation, but when he was too lazy to show up for his divorce proceedings, the courts transferred ownership to his wife Celeste Marigny. When she decided to move back to France, she sold it to a group of businessmen who divided the plantation into blocks and sold off sections. By the mid 1800s it was already turning into the luxury district it is today. 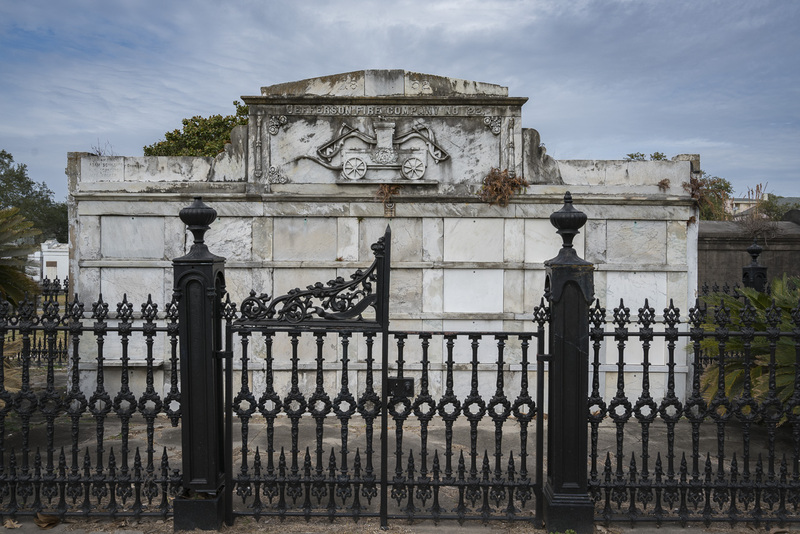 Unlike the Saint Louis Cemetery Number One downtown, you do not need a guide to walk through the Lafayette Cemetery in the Garden District. But it is a lot more interesting when you have a guide. Dave and I toured the cemetery on our own last year and really didn't find out too much about it. But with Shelia telling us stories, we came away with a much richer experience. Highlights of the cemetery include the Vampire Lestat crypt that was used in the movie Interview with the Vampire. Sheila showed us the actual crypt and where they built the replica in the corner of the grounds to film the scene. I totally have to rewatch that movie. This cemetery has several society tombs for members of organizations like the volunteer firemen, the German Presbyterian community and the YMCA. The most heartbreaking tomb was the Home For Destitute Orphan Boys where when looking at the dates, we noticed several died at the same time due to the yellow fever outbreaks. Sheila said many children were left without parents during that time. 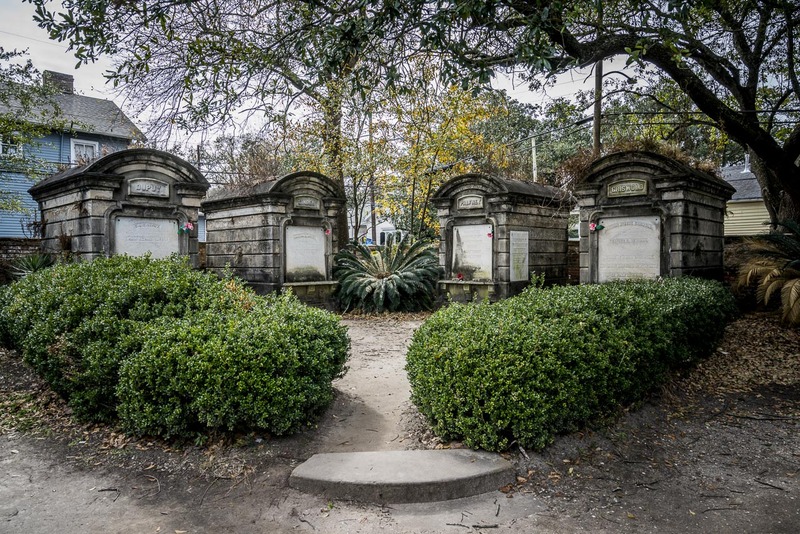 Knowing that I was a huge Anne Rice fan, she also told us of the parade Anne Rice had in the Cemetery where she staged her funeral in the 1990s to promote her novel Memnoch the Devil. Oddly enough, even though we were touring a cemetery, it felt relaxing. Birds chirped and people sauntered through the grounds looking at the elaborate tombs designed with angels, crosses, draped urns and statues of children. It is quite beautiful. After an hour or so touring the cemetery, we moved on to exploring the mansions of the Garden District. It is here that the celebrities and ultra rich residents of New Orleans live. Mansions take up entire blocks hidden behind high shrubs and brick walls. We started with learning about the different designs of the area. Gothic Revival was a large influence in housing designs but Roman and Greek are also major influences in this neighbourhood. Many of the houses also have similar cast iron fences using the same designer stretching all the way down the block crossing from one property to another. 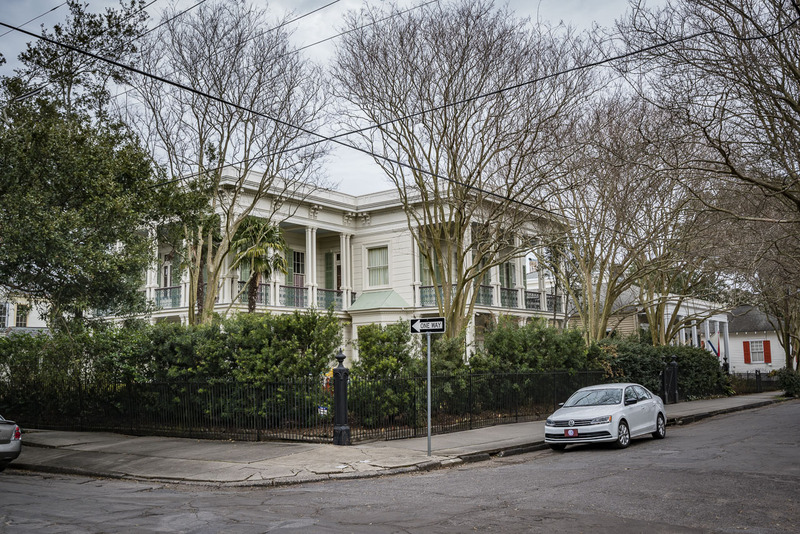 One of the most famous residents of the neighbourhood is Sandra Bullock who lives part time in New Orleans. Her house looked a little deserted and I wonder how much time she actually does spend in New Orleans these days. But Sheila said that she used to be here quite often. John Goodman keeps a house here and Sheila said that it is actually his primary residence. He's home often and his family lives here as well! 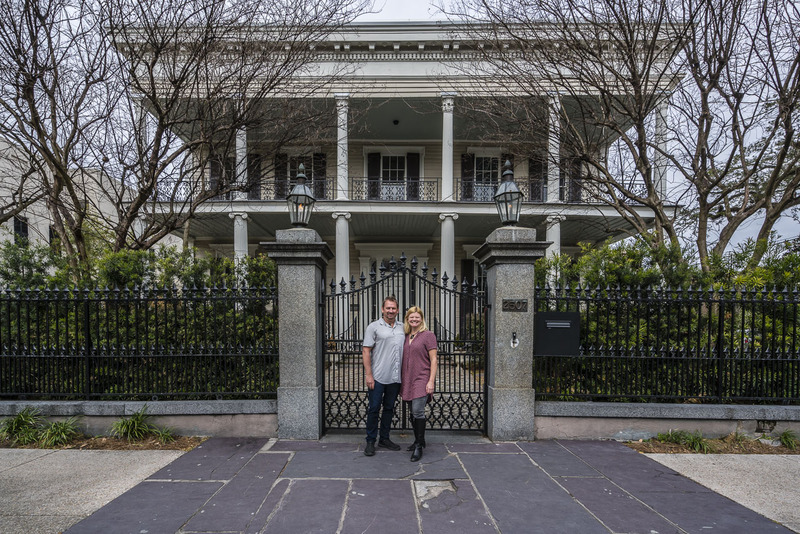 The Manning family lives in the Garden District. Famous NFL footballers Peyton and Eli Manning grew up in a mansion here. Their dad Archie played for the New Orleans Saints from 1971 to 1982. We hear that this family home is still the family home. If you are lucky you might spot them walking in the streets. I was sad to learn that Anne Rice moved away after the death of her husband. Her son moved to California and Anne Rice moved to be closer to him. But we did get to check out her mansion where she wrote The Witching Hour. Sheila pointed out her wrought iron fence with rosebuds but told us that Rice fans often see skulls. When taking a closer look, I can see why they thought that. Those rose buds certainly do resemble skulls. 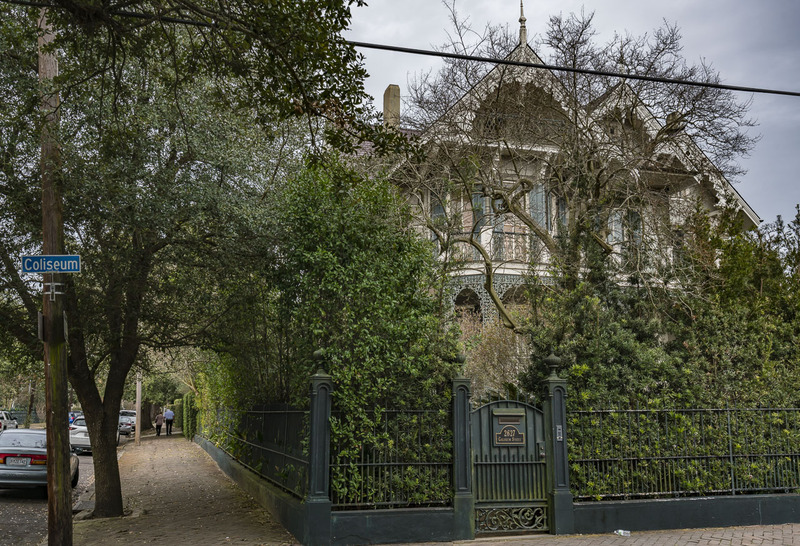 When Nicolas Cage was having better days, he too had a mansion in the Garden District. 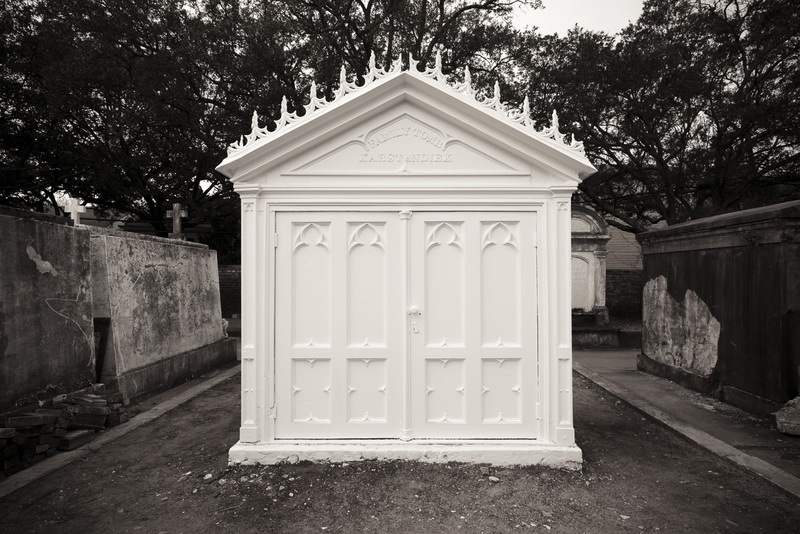 It seems that he flaunted his wealth everywhere in New Orleans buying a giant eyesore of a tomb in Saint Louis Cemetery Number One downtown and owned the LaLaurie Mansion from American Horror Story: Coveny for a short stint. So it only seems natural that he had a house in the most exclusive area of the city. When he lost all his money, he had to sell his mansion, but he still owns his tomb. He may not live here anymore, but he may spend eternity in New Orleans. I wonder if he buried his treasure in there for a rainy day? We also saw a few houses that were used for movie sets. 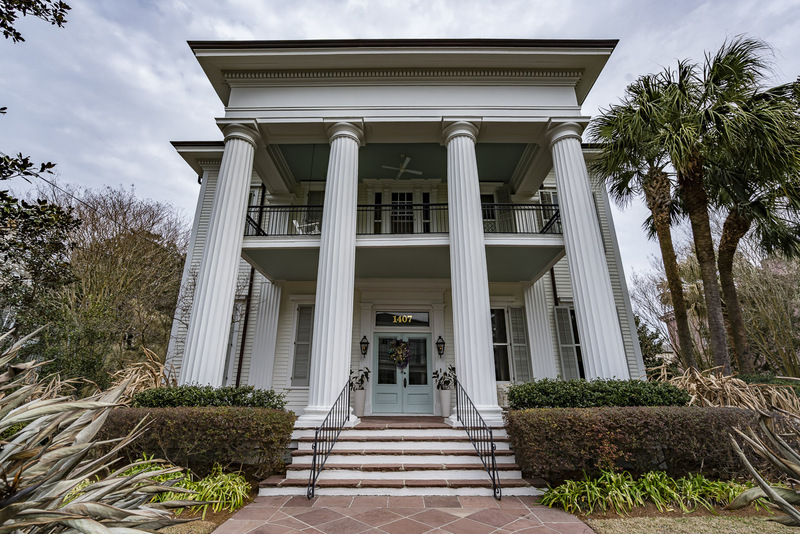 The Garden District makes for the perfect movie setting. It feels as if time has stood still. It's easy to imagine any number of these mansions doubling for plantation houses, quiet turn of the 20th-century neighbourhoods or country estates. It felt as if we were walking through our own movie set with each corner we took. Benjamin Button is a lovely fantasy movie starring Brad Pitt. The main house scenes were filmed in the Garden District and The Benjamin Button House was located on a corner of one of the streets. We can only imagine the fanfare that must have been around the area during the time when Pitt was at the top of his game. 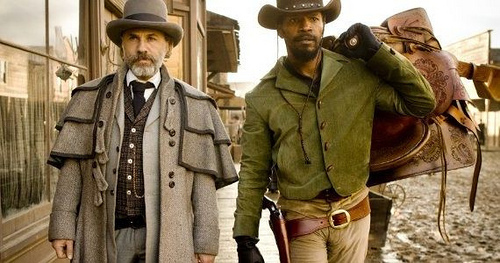 Quentin Tarantino's Django Unchained was also filmed in the Garden District. Sheila told us that the streets were all covered in dirt and grass to make it look as if it was a huge plantation house in the 1800s. 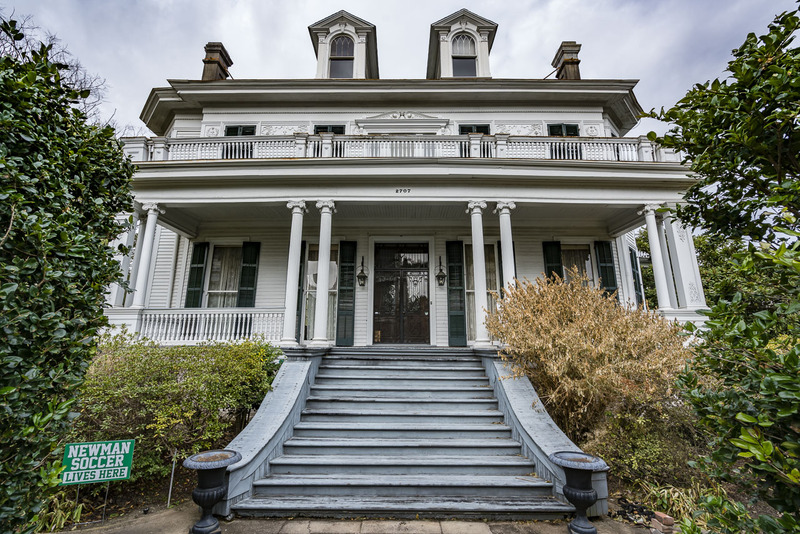 In person the house didn't look at all like it could sit in the middle of a sprawling plantation, but movie magic turned this downtown property into Leonardo Dicaprio's house of horrors. 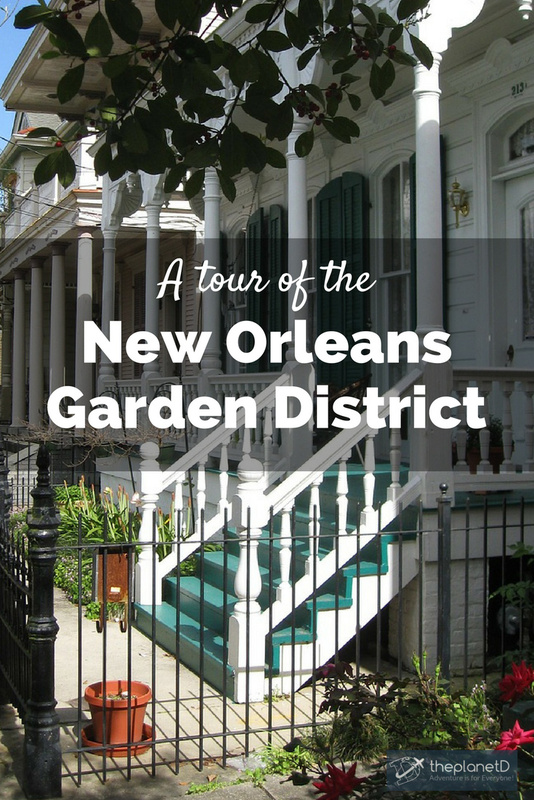 Our Garden District tour of New Orleans was informative and offered beautiful scenes and interesting insight into the history and culture of New Orleans. If we were to walk around on our own, we would have missed many of the little nuances of the area. There are several self-guided walks that people can do on their own, but we find our favourite thing about visiting a new city is to meet the locals and see the sites from their perspective. Sheila gave us plenty of insight into what makes the Garden District tick. 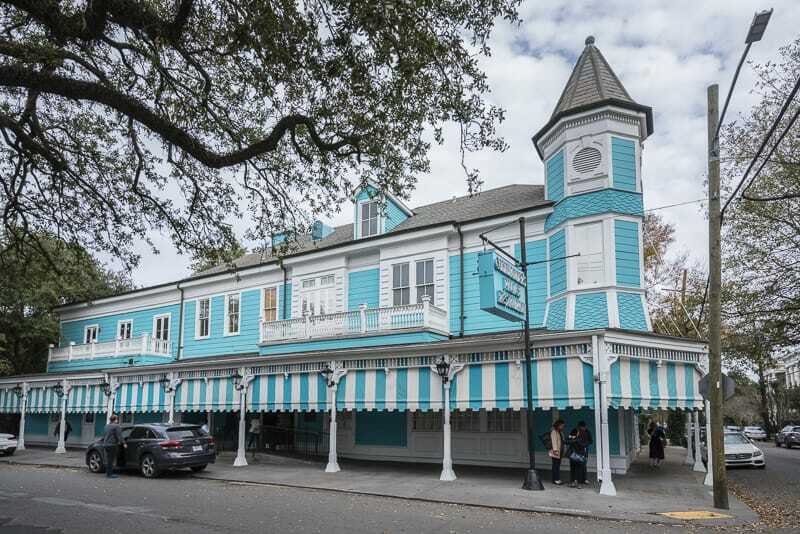 If you end up spending the entire afternoon in the Garden District, a good place for dinner is Commander's Palace. Commanders Palace is probably the most famous restaurant in the city and has been in operation since 1880. 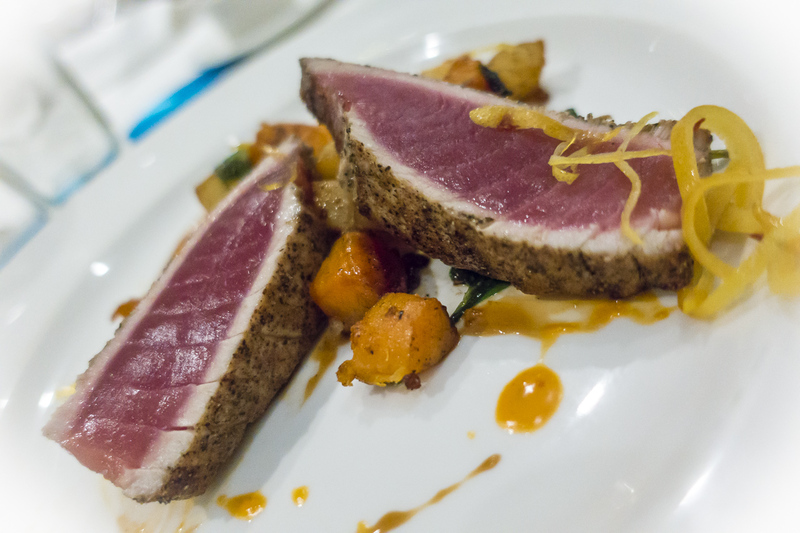 It's an upscale fine dining restaurant that is huge. As we were escorted to our table, we followed the hostess upstairs and through different rooms before settling in a spacious garden room. See more places to eat in New Orleans. You should be dressed sharply for a night out at Commanders Palace. 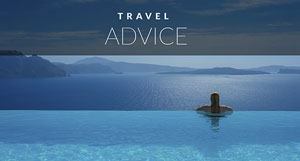 So be prepared if you are touring the Garden District and decide to stay for dinner. It's not a strict formal dress code, but no shorts are allowed and most people do wear dresses and suit jackets. 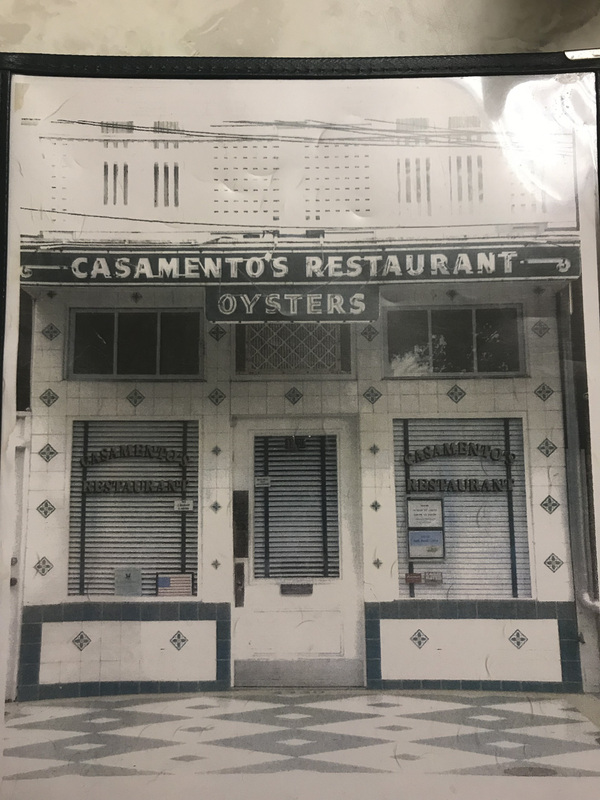 After our time in the Garden District, we made a detour to Magazine Street for lunch at Casamento's. Magazine Street is a great street for shopping, people watching and relaxing in a café. Casamento's is one of its more popular eateries serving raw and chargrilled oysters. It's only open a few hours a day and the lines are out the door. 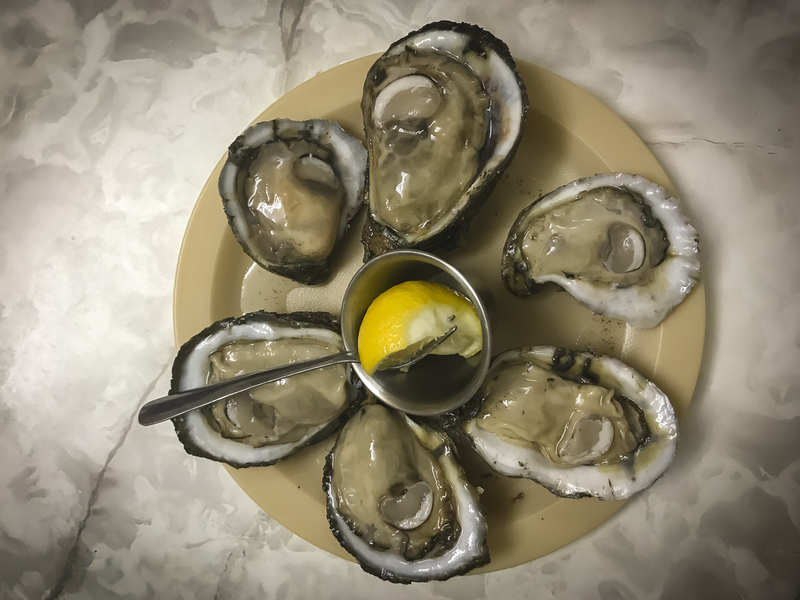 We managed to snap up a seat before the rush and enjoyed a couple of orders of delicious oysters. It's a much less formal setting than Commander's Palace with a Diners, Drive-Ins and Dives sort of feel. It's fast, it's small and it's greasy. The toilets are located through the kitchen and they only accept cash and it is the coolest New Orleans eating experience you can have. And there you have it. Our tour of the Garden District. 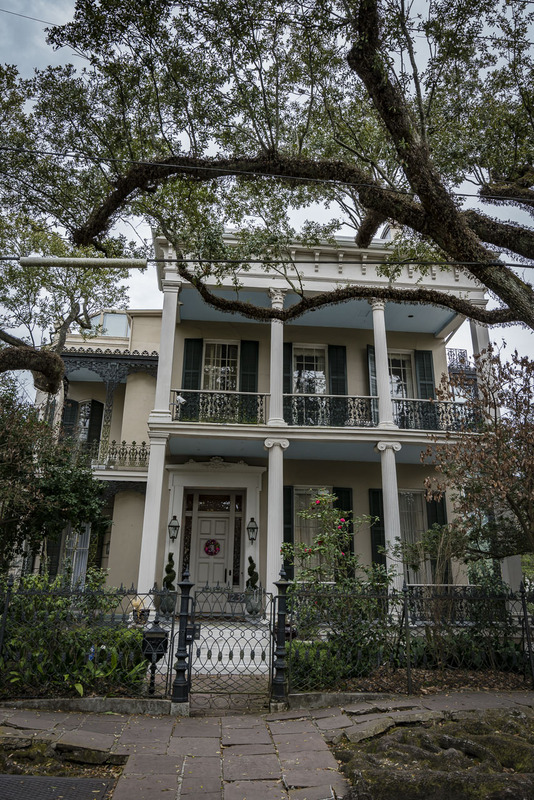 There are many more mansions to see and places to eat, but this guide will get you started to exploring the Garden District on your own. When you visit New Orleans, make sure to venture out of the French Quarter and take some time to see the sights. While many people dream to participate in Mardi Gras, there is way more to the city than just a party. The history, culture, food and music will keep you entertained for days. 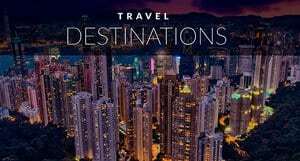 Our trip to New Orleans was in partnership with The New Orleans Convention and Visitors Bureau visit their website to learn more and plan a trip to New Orleans. As usual all opinions and recommendations are our own. 16 Responses to "A Tour of the New Orleans Garden District"
Those houses looks beautiful… gives me major house envy! They certainly take pride in how they look. I’d love to visit New Orleans some day! My comment was going to be straightforward praise to Sheila for having researched and written a great example of an even-handed, wide-angle commentary on an extremely contentious and critically important issue that I know she cares passionately about in a very partisan way. It must have killed her to reduce some of those points to one carefully worded sentence! But then I read the other comments and remembered that even an achievement as careful and expert as this one will allow people who want to take off with fizzes and bangs to do so. I could feel frustrated, angry or sad, but I don”t. I read Jennifer Palmieri”s “Dear Madam President yesterday (highly recommend it, FYI) and I agree with her that there”s just no point bothering with those responses on Sheila”s behalf, as it would have been. What”s important is to go on with the work that she can do the way she can do it and let other people”s chips fall where they may. Sheila, my chips today are rose petals and I”m sprinkling them along your path forward and saying “bravo! Everything that needs to be included is in here, and genuinely interested people could start here and know what to go looking for to learn more about every aspect of the issue. A beautiful article as always and have to congratulate you on the pictures – they are amazing. One error: Anne Rice moved to California to be close to her son. Her daughter died as a child decades ago. Good post! Oh no! I thought it was daughter. Thank you for the clarification. You had an amazing time, the photographs that you have shared are very mesmerizing. This place seems very nice I would like to visit this place. 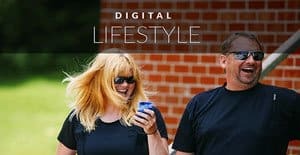 These photos looks incredible in your post! Nice article. I would love to visit this place. Thanks for sharing it. Such a lovely place it looks like to be. Thanks a ton for sharing. Enjoy to read your post!! You shared great experience of this place. So stunning pictures you captured. I really want to visit this place. Keep posting!! It’s breathtaking! Like I’ve stepped out of the 21st century and into a different era where everything is a perfect mix of modern and vintage! Awesome post! 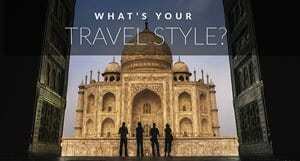 You shared amazing pictures in your trip. Thank you so much for sharing a great experience, Great article. I was a treat reading your blog. Amazingly narrated. Nice Clicks BTW. Cheers! Your experience of this place sounds amazing, though it seems like an off-the-track place, but it is amazing, I have had heard about The Vampire Chronicles, I would love to visit this place so that I could create my own story. Just had an amazing read.